The Econo Lodge University is located one mile from the Florida Museum of Natural History, Shand's Hospital and the University of Florida. 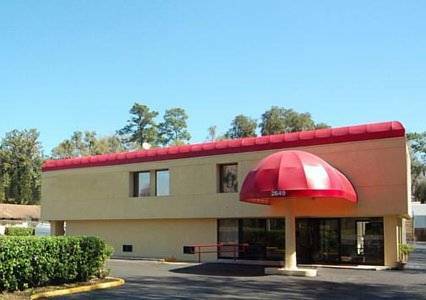 With easy access to Interstate 75, this Gainesville hotel is five miles from the Gainesville Regional Airport and Gainesville Raceway. Historic Micanopy is only 15 miles away. Superior amenities include: Free continental breakfast, Free coffee in the lobby, Free newspaper (Monday-Saturday), Free parking. All spacious guest rooms feature microwaves and refrigerators. In addition to standard amenities, some rooms offer coffee makers, hair dryers and massage shower heads. Non-smoking and handicap accessible rooms are also available. - J.R. Alison Munic. Arpt.